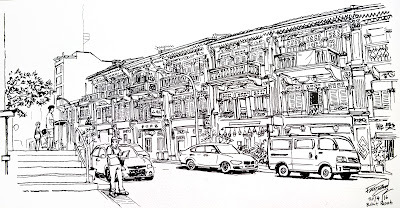 In conjunction with the Singapore Heritage Festival, the Urban Sketchers went for a sketchwalk at Bukit Pasoh, just on the edges of Chinatown. 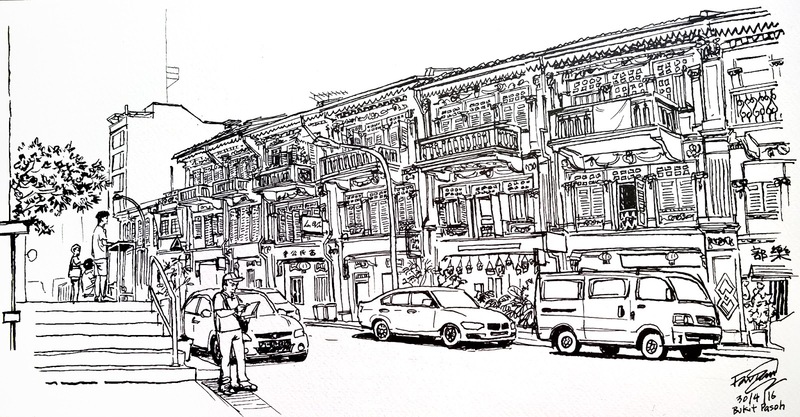 I decided to do a wider sketch and, like usual, got caught up with the details. Force of habit from my days as a VFX artist, I guess. I should've sloped the road downwards more to the right. It looks a bit too level here.